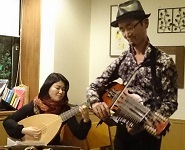 Tomoko Koide, she started to play the guitar at the age of fourteen. 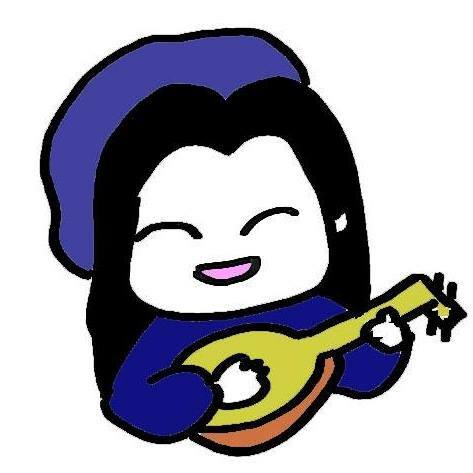 Won 2nd prize at G.L.C. 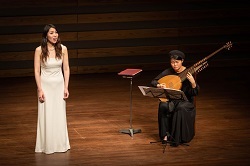 Student Guitar Competition, was a finalist at San-in Guitar Competition. 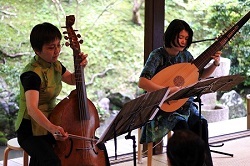 Soon after graduated Doshisha University she started to play the lute,and have learned lute & lute songs with Kenji Sano, Mamiko Hirai, Takashi Tsunoda, Paul O'dette, and Evangelina Mascardi. 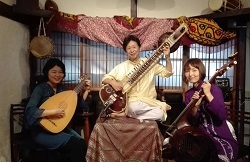 Tomoko played with many singers and various kind of instrument players like viol, traverso, flute even with sitar, nyckellharpa players, and attended recording projects. 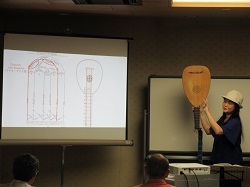 Tomoko gave lectures about lute and lute songs. 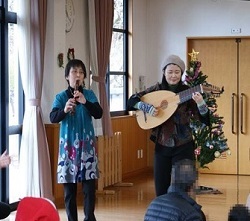 She is also a member of music band for children. 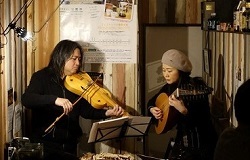 Copyright (C) Tomoko Koide All rights reserved.